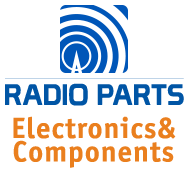 Sign up to receive the latest news on Wintal, Pro2, and Doss products and general Radio Parts news. We announce brand new lines, upcoming shipments, and products that are back in stock. Subscribe to one, or all! Find out about the latest deals and specials. Frequency, about once a week. We host free information and training sessions on a wide variety of subjects. Be notified of all upcoming sessions, so you don't miss out. Frequency: About once every fortnight. Wintal is our consumer electronics brand. Stay up-to-date with the latest product arrivals and updates. Pro2 is all about AV accessories. Stay up-to-date with the latest product arrivals and updates. Doss is power and trade related products. Stay up-to-date with the latest product arrivals and updates.